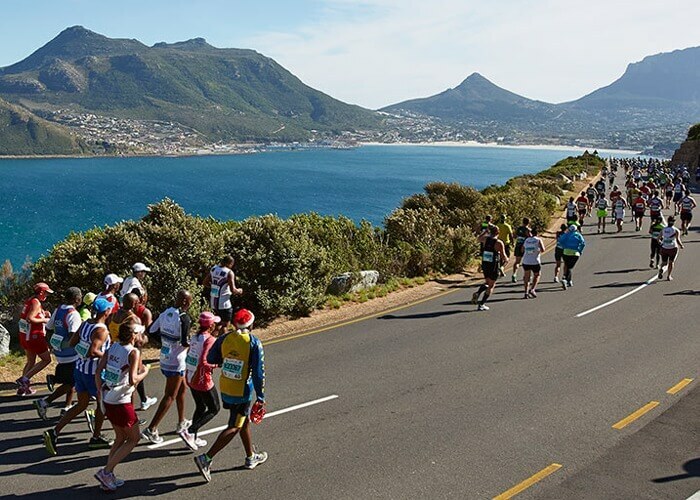 It’s that time again, as the ultimate endurance test is upon us yet again, Two Oceans Marathon will be taking place this Easter Weekend in the Mother City, on the 14 and 15 April. The Two Oceans Marathon Expo has already kicked off on Wednesday in Cape Town at the CTICC. The expo has something for everybody as competitors can collect their race packs at the expo, those who aren’t participating can go there to get a feel of what the atmosphere of the marathon will be like and can find out about latest trends in the running and sporting world. From new supplements to sporting tours, The Two Oceans Marathon Expo is the place to be for sport lovers. The main run, ‘the Ultra marathon’ will take place of Saturday, 15 April, while other subsidiary runs such as the Trail Run, International Friendship Run and Fun Run as well as the mini marathon series for kids, all take place on Friday. The marathon has been a crowd drawer since 1970 when it first kicked off, now the ultra marathon draws around 11,000 participants while 16,000 participants partake in the half marathon.